Here’s a quick tips on viewing the code of a stored procedure in SQL Management Studio. One of the quickest ways in which you can view the source code of your stored procedure is by using the sp_helptext and specifying the name of the stored procedure. How to view the code of a stored procedure using sp_helptext in SQL Server ? 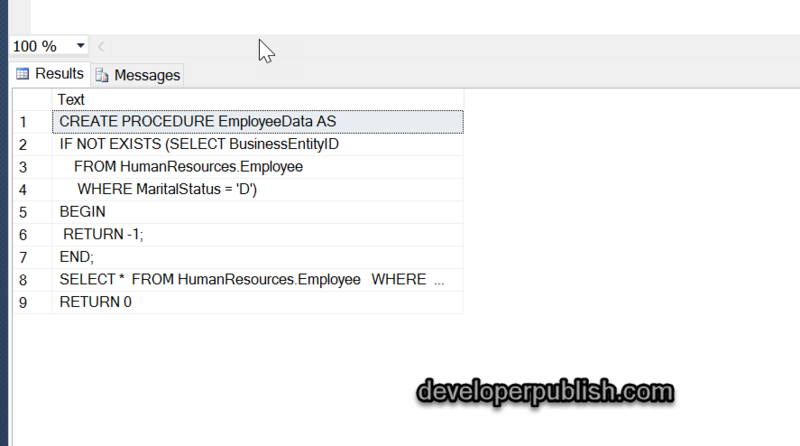 In this example , lets says you are working on the AdventureWorks2014 database and wish to view the code of the stored procedure using the sp_helptext in the Query results window, here’s how you do it.